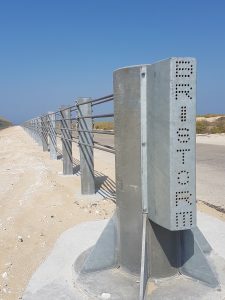 Bristorm specialises in the design and manufacture of Hostile Vehicle Mitigation fences and bollards all tested and rated at MIRA and TRL to BSI PAS 68, BSI PAS 170, IWA 14 and ASTM F2656. These Hostile Vehicle Mitigation solutions are designed to secure critical national infrastructure, crowded and commercial locations from vehicle borne attacks; Bristorm are focused on delivering high quality and high performance products that do not hinder architectural, financial or operational requirements. Bristorm have an established presence in the high security market and have a recognised brand across the Middle East and the UK. It is essential that perimeter and HVM security solutions are suitable to combat today’s threats and those of the future. But Bristorm understand that products should be specified in line with the perceived threat faced, therefore ensuring an appropriate and cost effective system is implemented. Therefore, Bristorm have a range of aesthetic Street Furniture covers that complement all Impeder and Stopper Bollards, tested to BSI PAS 68 and BSI PAS 170, to ensure they can be integrated into any environment. Bristorm is a trading division of Hill & Smith Ltd, the UK’s leading manufacturer of highway safety barriers. Accredited with ISO 9001 and ISO 14001, the organisation is recognised for engineering, manufacturing and sourcing environmental standards on a wide range of fully tested Hostile Vehicle Mitigation Products (HVMP) and perimeter security products to the Public Available Specification PAS68. Bristorm Fences are designed and manufactured to secure perimeters from hostile vehicles travelling up to speeds of 50mph, at a 90 degree impact. These sophisticated HVM solutions are versatile meaning any site can have the appropriate protection; they are all tested to BSI PAS 68 or ASTM F2656. Bristorm ZERO is an untensioned wire rope fence tested to ASTM F2656 M50 P1 and M50 P2. It will stop a 6800KG vehicle travelling up to speeds of 50; the system requires minimal maintenance and can work alongside other Bristorm HVM such as the Impeder Bollards and the Bri-RISE Gate. Bristorm ZERO is popular across the Middle East as significant changes in temperature don’t affect the performance of the fence line. The Anti-Vehicle Fences are tensioned wire rope HVM fences tested to BSI PAS 68. They are tested to speeds of 30, 40 and 50mph and they will immobilise the attacking vehicle upon impact. Utilising the same main anchors, these fence lines can be integrated along the same fence line so the threat is appropriately mitigated. The Bristorm Beam is the ideal perimeter fence when underground works are present. Tested to BSI PAS 68, this fence has a combined beam and wire rope profile but has shallow and surface mounted post configurations. The end anchors are installed just 500mm deep, whilst the line posts can be surface mounted; this system is tested up to speeds of 30mph and will stop a 7500KG vehicle in 0.3m. Bristorm LP and IVP is a cost-effective perimeter fence tested to BSI PAS 68. It offers appropriate protection against 4×4 vehicles (2500KG) travelling across long lengths of uneven ground. It is integrated alongside an anti-personnel fence that can also capture the vehicle upon impact. 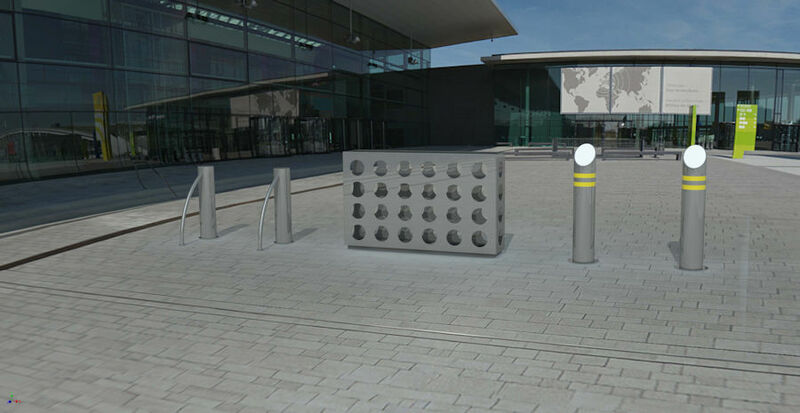 Bristorm Bollards are designed and manufactured at our site in the UK and are tested to BSI PAS 68, BSI PAS 170 and IWA 14-1. Designed to protect Critical National Infrastructure, perimeters and crowded locations from hostile vehicles. Bristorm Impeder Bollards are tested to BSI PAS 68 and IWA 14-1. They offer protection against vehicles weighing up 7500KG travelling at speeds up to 50mph. All galvanised as standard, they can also be powder coated to suit your site and branding requirements. Shallow mount foundations are also available tested to speeds of 30 and 50mph. Bristorm Stopper Bollards are tested to BSI PAS 170. They offer a guaranteed level of performance against low speed and low impact vehicular collisions, up to speeds of 20mph. They are a cost-effective alternative deployed around commercial and crowded locations. The Bristorm Access range is inclusive of two HVM gates. Designed and manufactured at our UK facility, the Bristorm Access range is tested to ASTM F2656 and IWA 14-1. Acting as emergency access gates, they are manually operated eliminating the risk of hydraulic or electrical failure across any site, meaning protection from hostile vehicles is maintained. The Bri-RISE Gate is tested to ASTM F2656 and IWA 14-1 and will stop a 6800/7200kg vehicle, travelling up to 50mph, in under 1m. It can be integrated to work alongside the Bristorm ZERO fence or can act as a stand-alone gate or spanning arm. Perfectly integrated across large industrial sites, the self-balancing rising arm can be easily moved by one site operative. The Bristorm SWING Gate is tested to IWA 14-1 and will stop a 7200kg vehicle travelling at speeds up to 40mph. It is a more cost-effective solution designed to block roads and prevent vehicular access around crowded locations, such a football stadiums and arenas. It will stop the vehicle within its own working envelope where pedestrians won’t be able to gather thus keeping crowds and infrastructure safe. The manual operation means a single operative can open and close the gate whenever required. To complement our bollards, we have a range of aesthetically pleasing sleeves designed to sit comfortably over our Impeder and Stopper Bollards. These will disguise the HVM aspect of a design and will allow for additional branding so it can be integrated into any commercial site. We are committed to delivering functional designs that offers an additional purpose so one solution can fulfil multiple requirements. 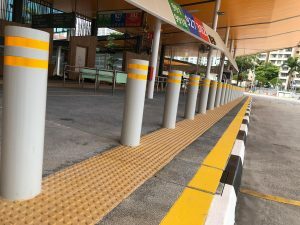 The Pedestrian Guardrail is combined with a traditional guardrail panel and our Stopper Bollards. Still offering uncompromised HVM performance, the Pedestrian guardrail panel can be used as advertising space and can control pedestrian flow nearby ring roads or busy access points. Cycle Hoop to sit over the Impeder and Stopper Bollards. Traditional Planters to sit over the Impeder and Stopper Bollards. Stainless Steel covers for a sophisticated finish.